Hawthorne, CA Ukulele Lessons Near Me | Fun Classes. Top Teachers. Check out some of our most popular teachers near Hawthorne, CA including Los Angeles, Long Beach, Irvine, Glendale and Burbank. One of my favorite subjects, ukulele is a fun interactive lesson! Grammy Nominated Samantha A. is a "big voice in a tiny body." With a Bachelors in Jazz Vocal Performance from the University of the Arts, Samantha has been actively singing and performing for over 10 years. Now, a 20-something, this singer/songwriter has released her first (self titled) EP, her newly released Stepping Stones EP (THESE WALLS VIDEO AVAILABLE ON YOUTUBE) and snagged a Grammy Nomination for her work on Blue Note Records artist Joey DeFrancesco's album, Never Can Say Goodbye, in 2011. Learn anything from breath control to songwriting to piano. The lesson was informative and fun and my daughter thoroughly enjoyed it! Strength in teaching baritone uke, but can also teach traditional uke. Students can expect to learn basic and intermediate chords, strum patterns and songs. 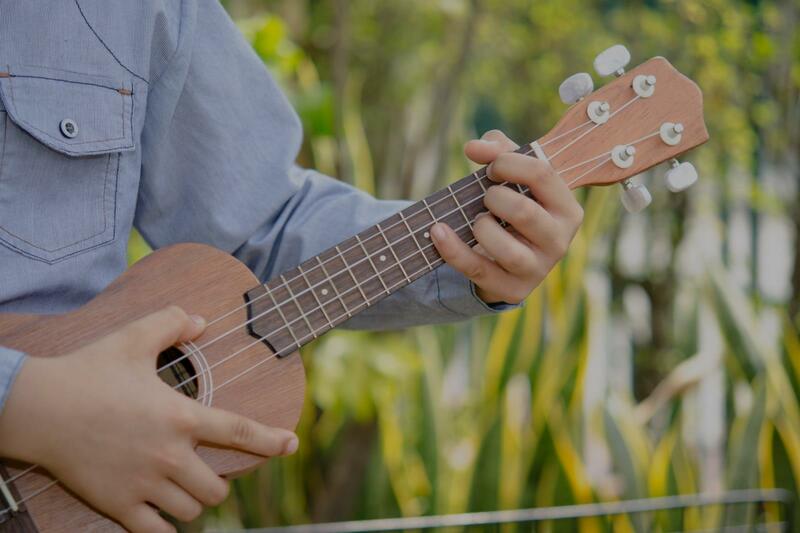 From strumming chords and singing along to finger-style arrangements, let me help you explore all the possibilities of the ukulele! I can show you how to play and sing almost any song using easy chords and simple strumming, or spice it up with more advanced flashy strumming and chords! Lee Quick teaches ukulele, acoustic guitar, songwriting, music theory and live performance. Her goal is to bring the best out of beginning to intermediate musicians using a holistic and minimalist musical approach -- you only learn what you really need to know. Can you pick up an instrument and play "Happy Birthday" in a key suited to your voice? She can show you how. estras. Ms. Q. also graduated from the U.S. Armed Forces School of Music and served as a Bassoon Player in the U.S. Army. I love Ukulele I love Ukulele Did I tell you I LOVE Ukulele? I play the piano. I play the guitar but what I learn from Ukulele open my eye to new part of world of music. I play love songs, blues, Spanish tango on Ukulele. Can't believe it? Come with me to take a journey with me. Ukulele is one of the most fun instruments and, I believe anybody could learn it quickly. I have been teaching Uke for over 8 years and it has been an amazing connection with all my students so far. It's great to learn your favorite songs, Christmas tunes, Beatles or anything we could adopt for Uke. I also have some material for the students may take it more advanced levels, that could be challenging to study. Let's learn Ukulele for real, and have real fun. Can't find a teacher in Hawthorne, CA? "First lesson completed. Teresa is wonderful. She absolutely LOVES music and is so excited to share it with others. Can't wait to continue my lessons." hing I can take home with me and improve." laying the uke for a year now in school but really had just been copying what his previous teacher did instead of reading the music). Jared is extremely patient and is so thoughtful about his lesson plans, really introducing music my son is really interested in. I know we had been hesitant about doing online lessons because it sounds like such a foreign concept, but we couldn't be happier. I highly recommend Jared." re. No undo pressure. Only joy. It's exactly what we were looking for." e it fit my learning ability"
know I'm on my way to being able to play in public. I'd recommend him to anyone learning a musical instrument, either as a beginner trying to learn the ropes or for more experienced players looking to brush up." Los Angeles, CA teacher: Mike B. "Ken makes learning fun. He's very encouraging. I can't wait for my second lesson." "Listened to my daughter's interests and musical style and then chose things to learn that really interested her."